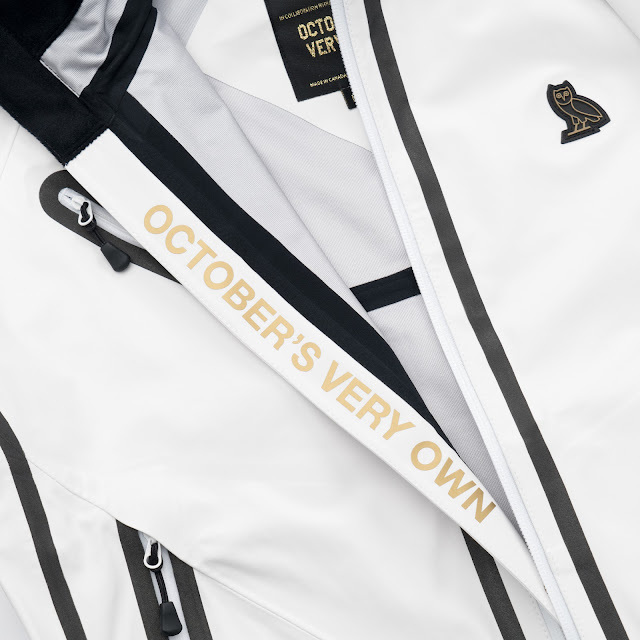 OCTOBER’S VERY OWN HAS PARTNERED WITH CANADA GOOSE ON A PREMIUM COLLECTION OF CUSTOM 'MADE IN CANADA' TIMBER SHELL JACKETS. 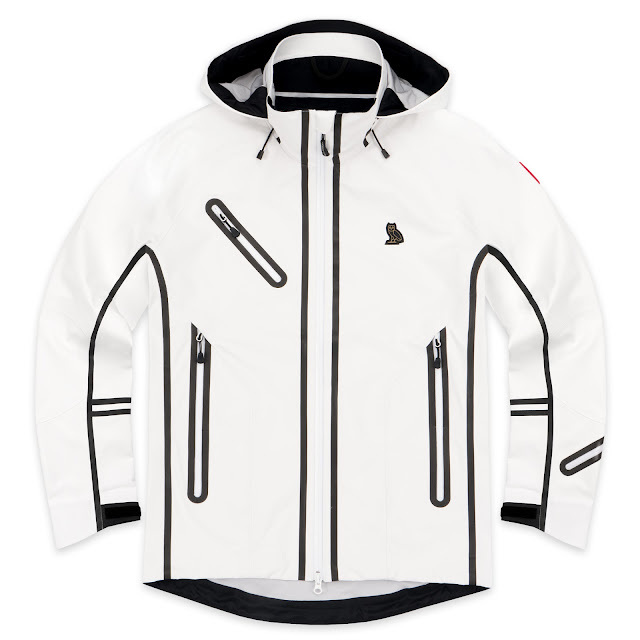 THE OVO X CANADA GOOSE TIMBER SHELL JACKET IS LIGHTWEIGHT, WATERPROOF, BREATHABLE AND FULLY SEAM-SEALED. 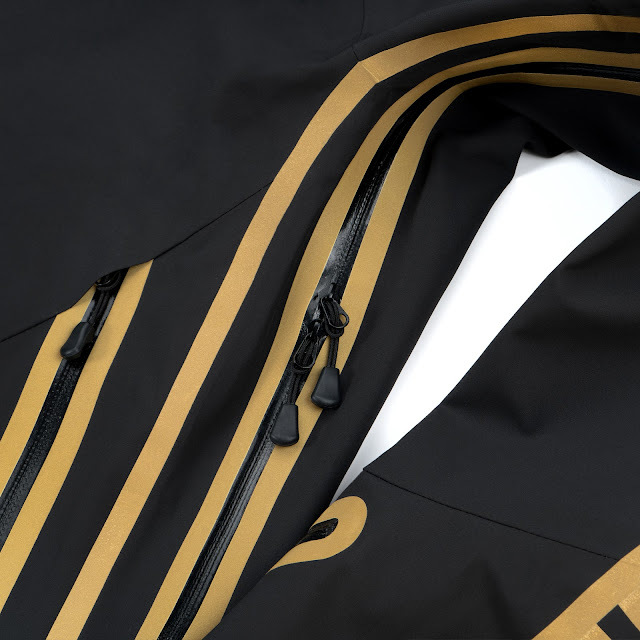 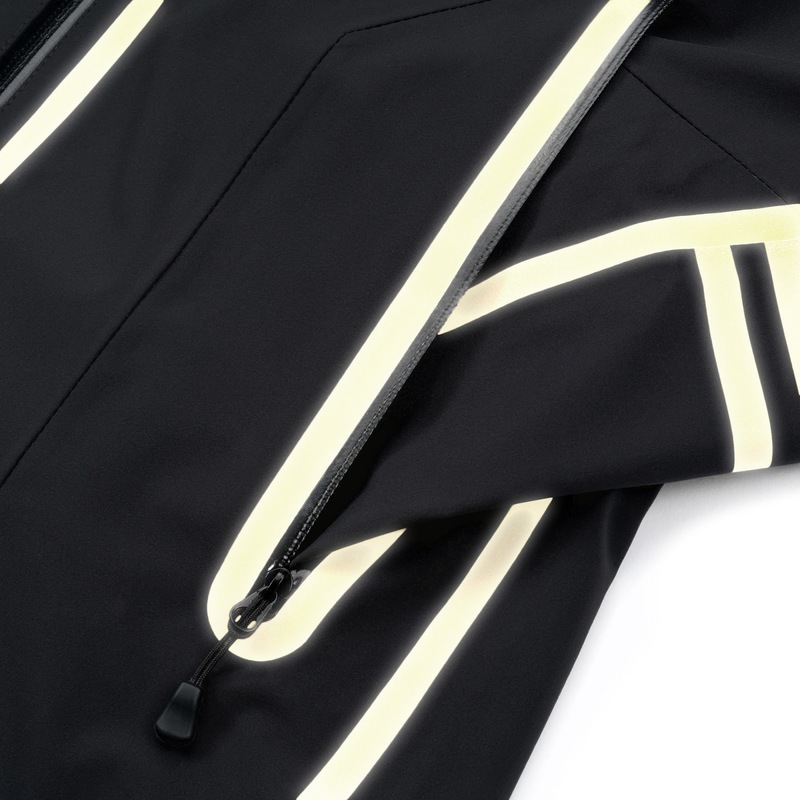 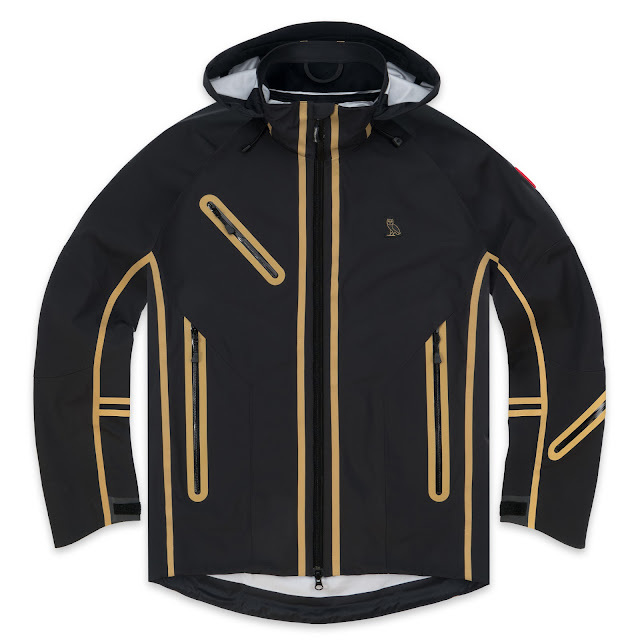 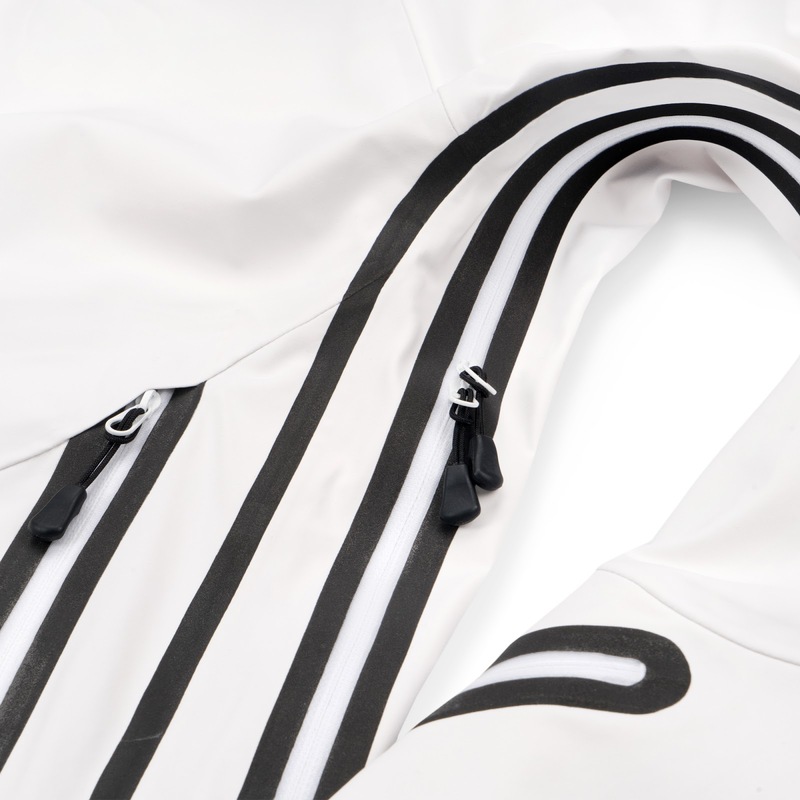 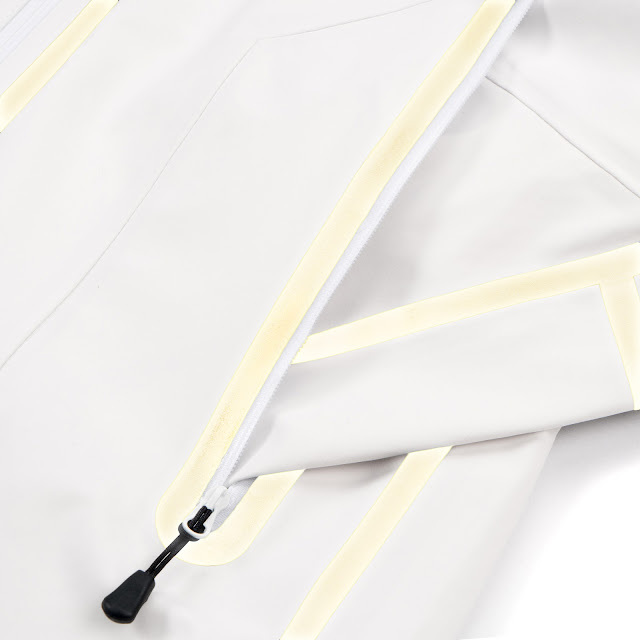 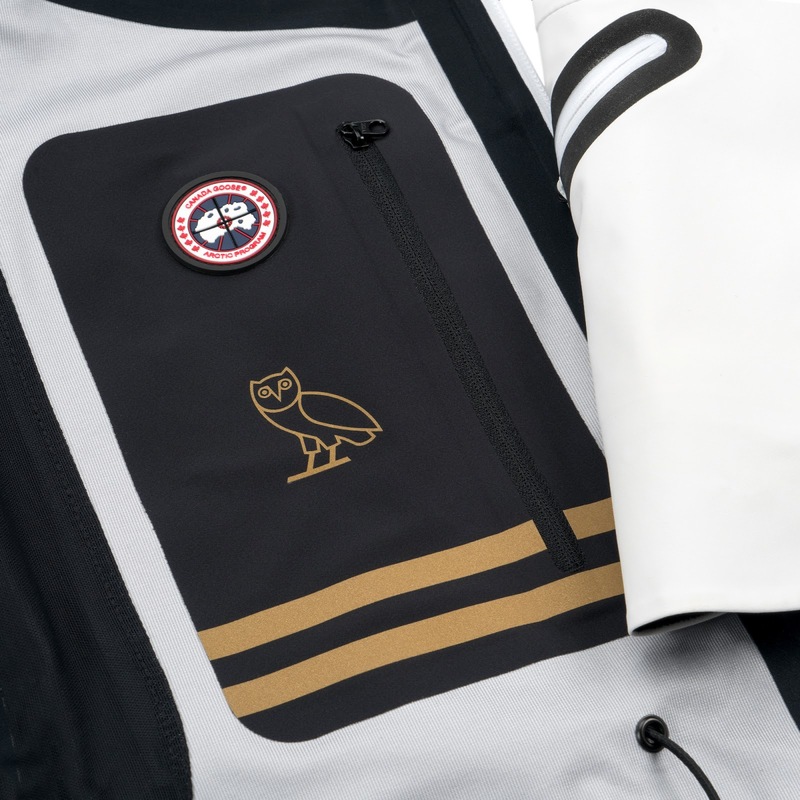 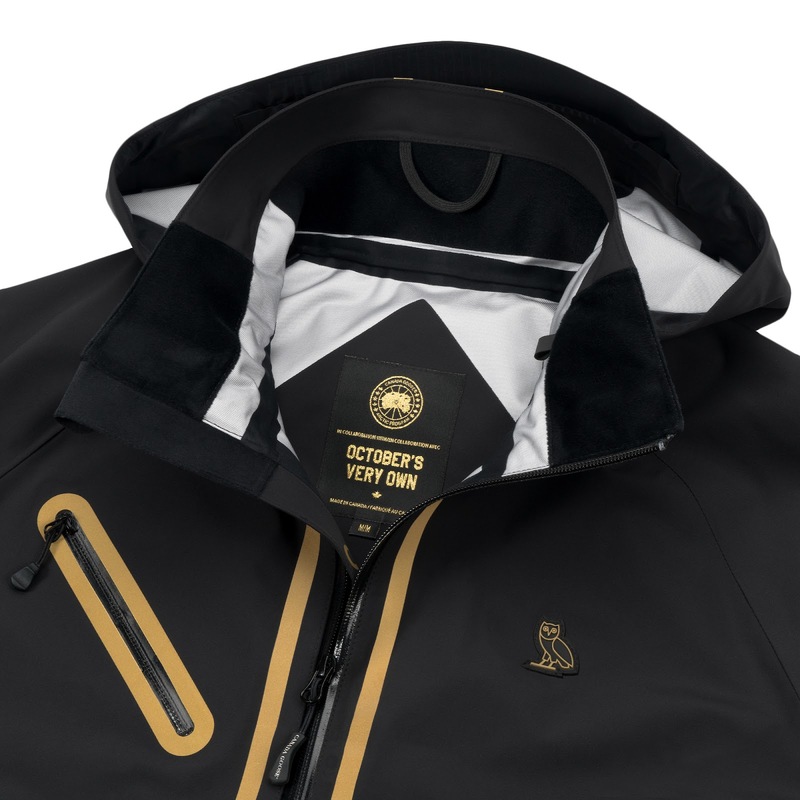 THE ICONIC TIMBER SHELL JACKET HAS BEEN REINTERPRETED TO FEATURE CUSTOM GOLD REFLECTIVE TAPING AND OVO BRANDING THROUGHOUT. 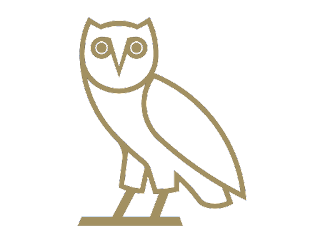 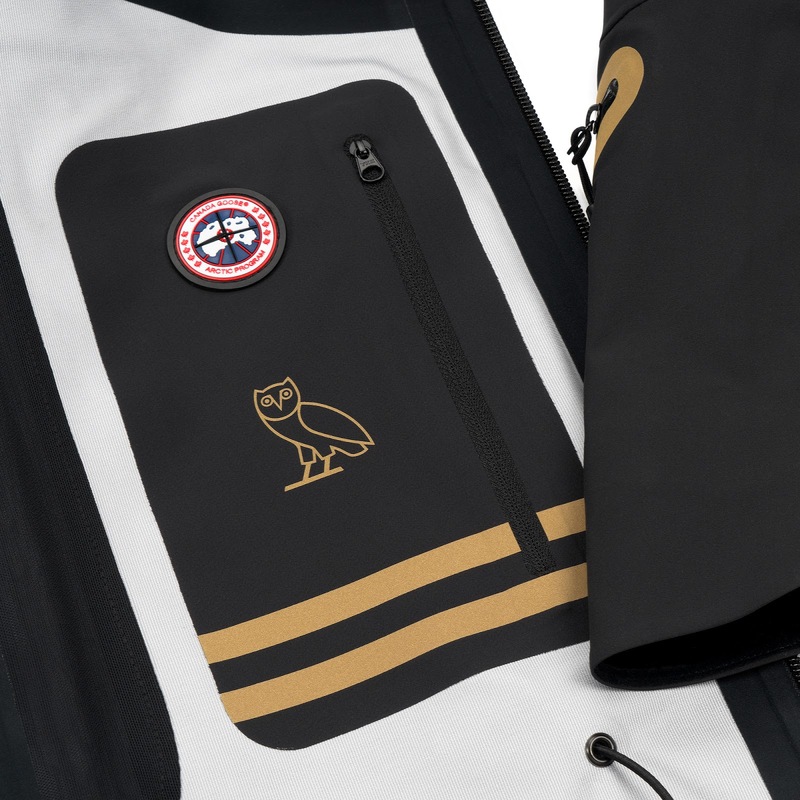 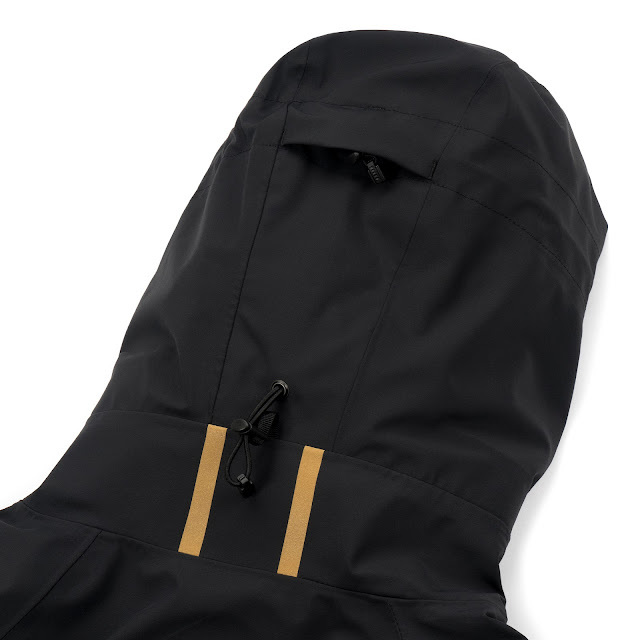 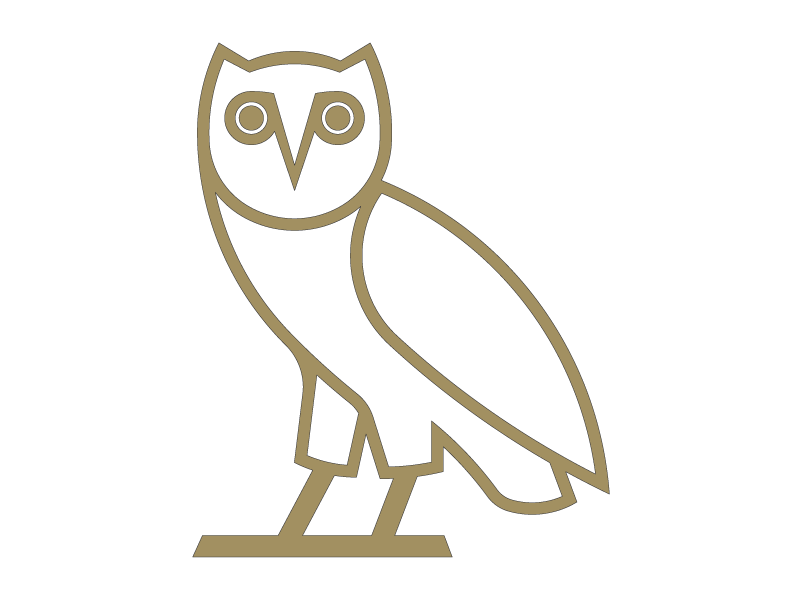 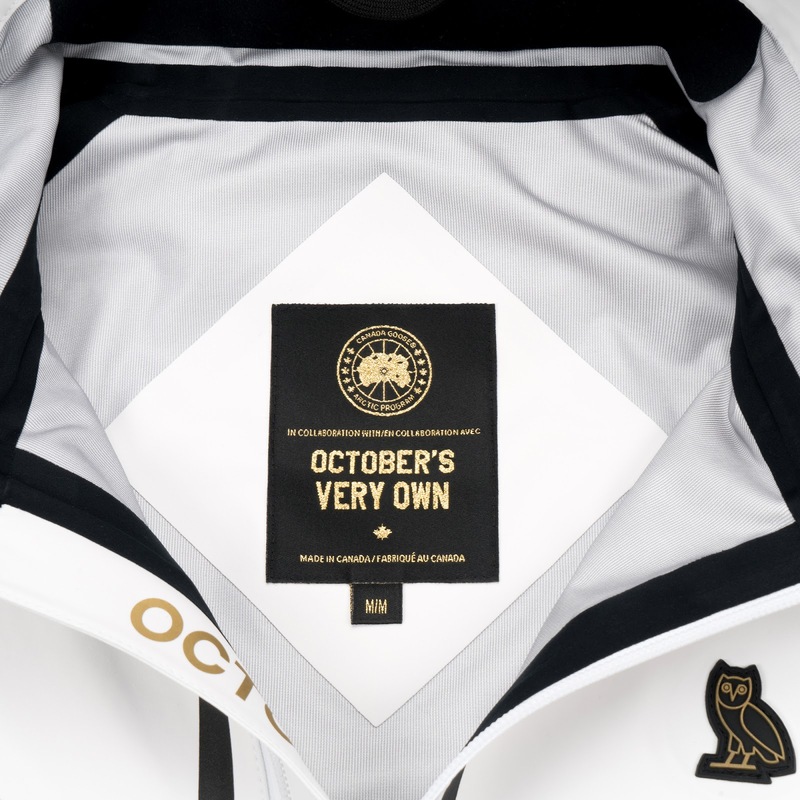 OVO'S DISTINCT DESIGN AESTHETIC AND CANADA GOOSE'S PROVEN TECHNICAL EXPERTISE PROVIDES A PREMIUM AND HIGHLY FUNCTIONAL PRODUCT OFFERING. 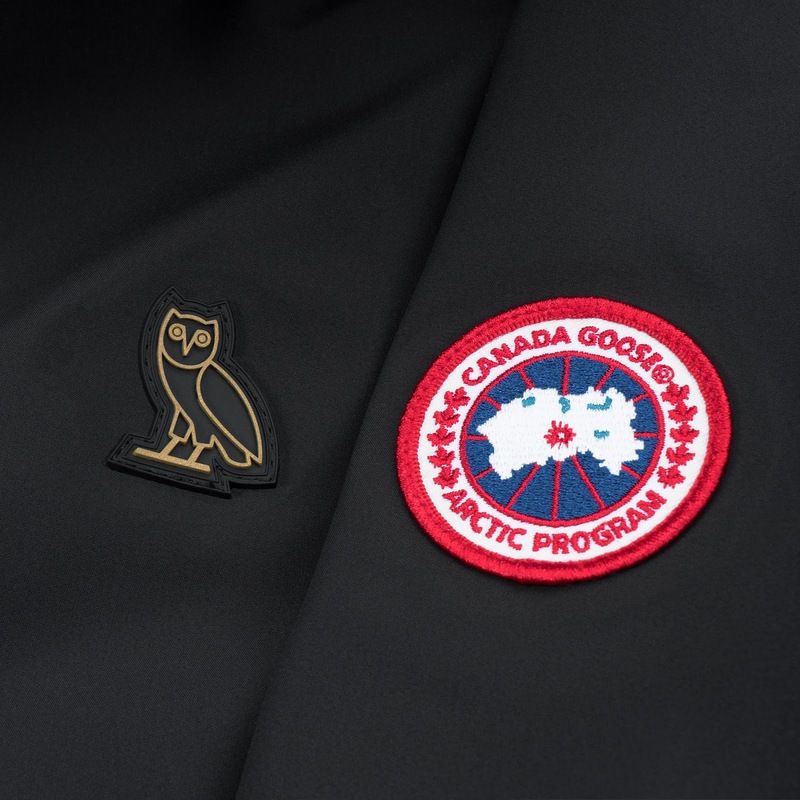 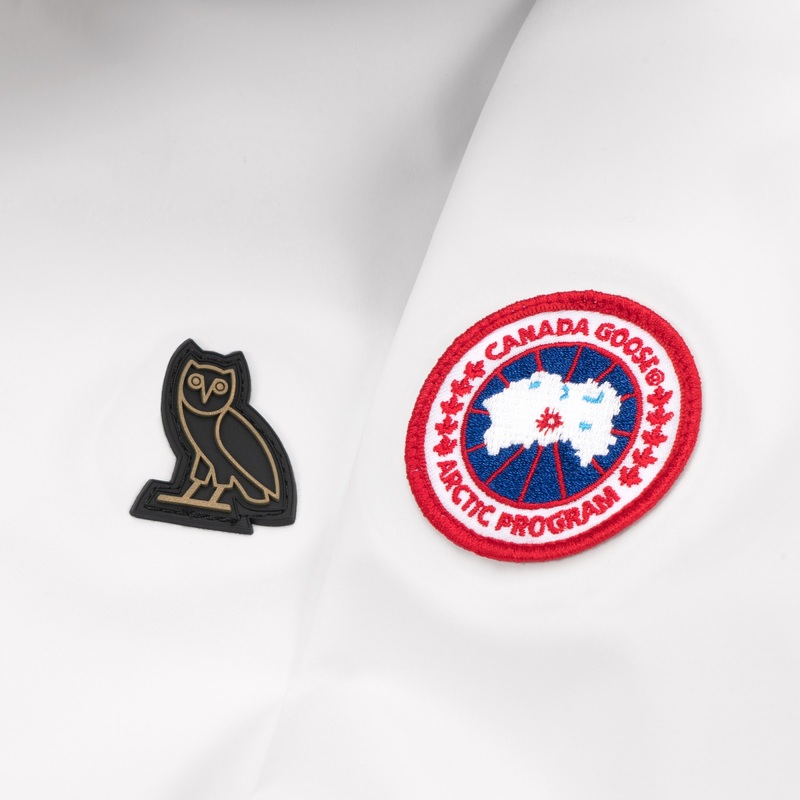 THE OVO X CANADA GOOSE SPRING 2017 COLLECTION IS AVAILABLE IN TWO COLOUR WAYS.